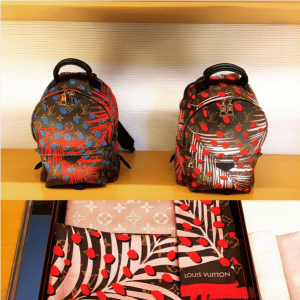 Introducing the Louis Vuitton Tropical Journey Collection. This limited edition collection is part of the brand’sSpring/Summer 2016 Collection. It features three new colorful prints. These three prints are the Monogram Jungle(also known as Palm Dots) which features palm trees and oasis that comes in two color combinations – Palm Sugar Pin/Coquelicot and Palm Poppy/Denim; Monogram Vernis Jungle – made of Monogram Vernis with animal inspired dots in vibrant colors and Monogram Bay which is the Monogram Canvas with the Chain Flower Print and comes in Poppy/Rose Ballerine color. 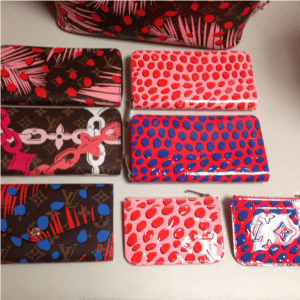 The collection includes Louis Vuitton’s signature handbags such as Neverfull, Speedy and Keepall bags. 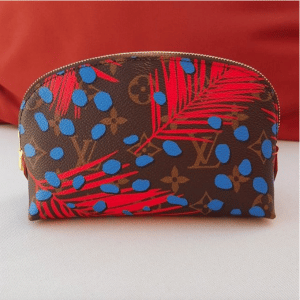 Also included in the collection are wallets and small leather goods, shoes, as well as, travel accessories like Cosmetic Pouch and Toiletry Pouch. 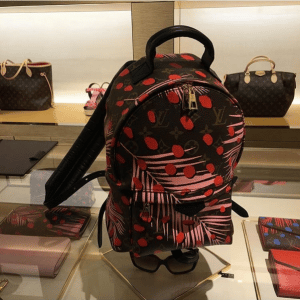 As far back as I can remember, Louis Vuitton has always had a summer collection, a selection of bags and SLGs dedicated to the arrival of everyone’s favourite beach-lazing, pina colada-sipping and suntan oil-applying time of the year. But while that’s practically every single day in our part of the world, don’t let that affect you when getting into the spirit of ‘Tropical Journey‘, made up of two distinct prints, Monogram Jungle and Monogram Bay. Which is what you’re seeing on the Speedy30 that’s shown above, the Monogram Jungleprint a mix of fronds and dots, the fronds referencing tropical palm trees, the dots symbolising the patterns you’ll find on the fur of wild animals. Given that context, the print does make perfect sense, no? 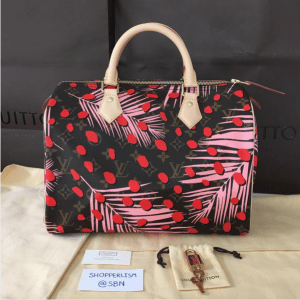 Besides the Speedy30 which will retail for SGD1880, by the way, you’ll also find other bags in this special limited edition capsule collection, from the Neverfull MM (comes in two colours, the one in Sugar Pink/Coqulicot and Poppy/Denim, which is also the one you see above with the blue dots) to the Palm Springs Backpack PM (far right), also in both colours. Priced at SGD2110 and SGD2910 respectively, I’m thinking these will be very popular as well. 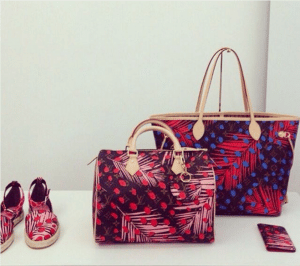 Now, let’s address the bag on the left of the image shown above, which sports the other print from #MonogramJungle. Spotting the same fur print dots but without the palm fronds, staring at it makes my skin crawl, and I’m guessing it’s because of my trypophobia. In other words, thanks, but no thanks; I’ll pass on this print. Moving on, besides the Speedy30 and the Neverfull MM, there’s also a Keepall and aPégase, both of which you can see here via this link. There is also a smattering of SLGs in both prints, and before I sign off, here’s another image of the Palm Springs Backpack PM bags in both colour combinations that are slowly but surely growing on me. 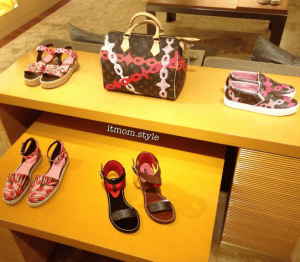 You’ve seen Monogram Jungle, now have a look at #MonogramBay, inspired by nautical-inspired chains that also showed up on Louis Vuitton’s earlier Cruise andSpring-Summer collections. 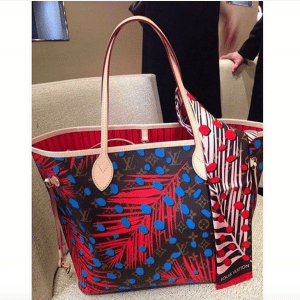 A new design created by Nicolas Ghesquière, you find this print on the Neverfull and the Speedy as well as a selection of SLGs too. Oh yes, one last thing. Like LV’s America’s Cup collection, this capsule collection will also be launched in Singapore on 1 April 2016. Wait list now, or regret forever.